I talked to Sameena Mustafa -- former candidate for Congress -- a few weeks before the midterm elections. Sameena is a progressive who aimed to unseat centrist Democrat Mike Quigley in the Democratic primary back in March 2018. Her bid was impressive, if ultimately unsuccessful, and shone a light on how out of step Quigley’s voting record has been with his very progressive district. And in the context of the “Blue Wave” of Democratic victories coming to light since last Tuesday, the big message I take from my conversation with Sameena is this: There’s lots more where that came from. The victories we are seeing now are the tip of the iceberg, And they are the result of work being done by progressives -- many women of color -- all over the country. And Sameena was one of those women, getting out in front, and insisting on a new direction. Listen to Sameena’s new radio show, To the Left, here! Equality Hive is a Manhattan based ghostwriting and copywriting service for thought-leaders in the social evolutionary sector. Visit equalityhive.com to find out more and join the community. Every. Vote. Counts. And as it turns out, that is often felt most keenly from the perspective of people who are not allowed to vote. 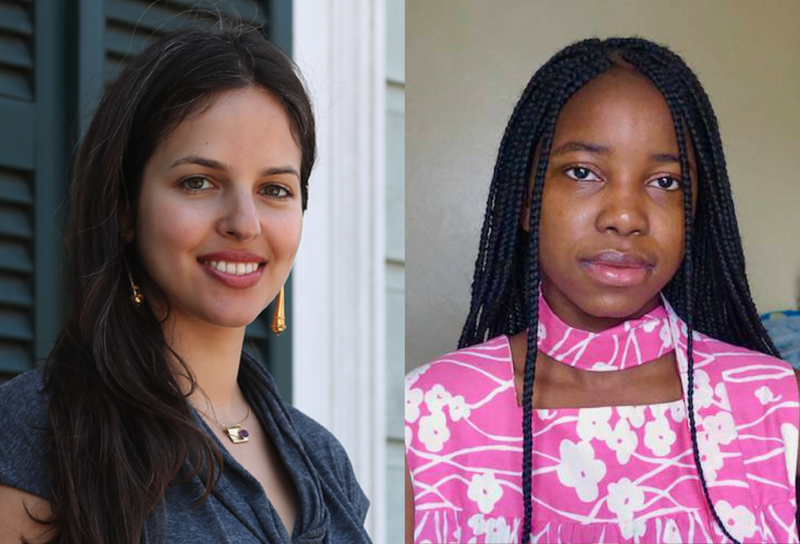 That what motivates Esther de Rothschild & Aicha Cherif in their work running the Love Vote, an organization that amplifies the voices of people who can’t vote -- either because of youth, citizenship, or disenfranchisement. And they are doing it to move people who can vote, to vote. We also talked about their experiences at the helm of a social impact startup, as well as their insights on leading, collaborating, and learning in the social impact space. Esther and Aisha offered rich insights on how to build bridges across the generational divide -- basically how old fuddy-duddies can successfully collaborate with a bunch of young whippersnappers. The generational divide is such a common concern within the social change space, and Esther and Aicha have a lot of wisdom to offer on that. And on the Tuesday after this episode comes out, I’ll be sending out an email that digs more deeply into the kind of learner’s mindset that Esther described as a key to her success. If you want to get that email, hit the button below and subscribe. “I remember when I first met with a tech person about a website… and I said, ‘can you let me know what you see as the greatest potential weakness, both in this project and of what I’m bringing to it?’…. This week, I speak with Kat Calvin, the founder of Spread the Vote. After the Supreme Court took the teeth out of the voting rights act in 2013, conservative lawmakers started passing Voter ID laws around the country. So now we have eligible voters in 34 states that are turned away from polling stations because they don’t have a state-issued ID. So Kat founded Spread the Vote as a way to get people their IDs, so they know they can vote, and so that they won’t be turned away at polling stations on Election Day. Kat was recognized in Fast Company's 2018 list of the 100 Most Creative People in Business, and was named one of Business Insider’s 30 Under 30. She was also featured in one of BET's Black History Month profiles. ANTIDOTE is an every-other-week email, inspired by my work with clients, and my conversations with social impact leaders and innovators on the Dialogue Lab podcast. For instance, one of the things Kat and I talked about was how successful social impact leaders don’t try to go it alone. They check their egos at the door, so they can prioritize what’ most important: their missions. And Kat talked about how you can usually tell when someone is letting their ego drive the bus -- driving away people who might help. And if you ask me, the fact that it’s easy to spot -- that’s good news. Because spotting it is the first step to repairing and building the kind of strong partnerships you need to pull off your ambitious vision for change. I’ll be sending out an email the Tuesday after this episode goes live with some of the key signs that tell you it might be time to take a look at who is driving your bus. Make sure you don’t miss it by subscribing below. 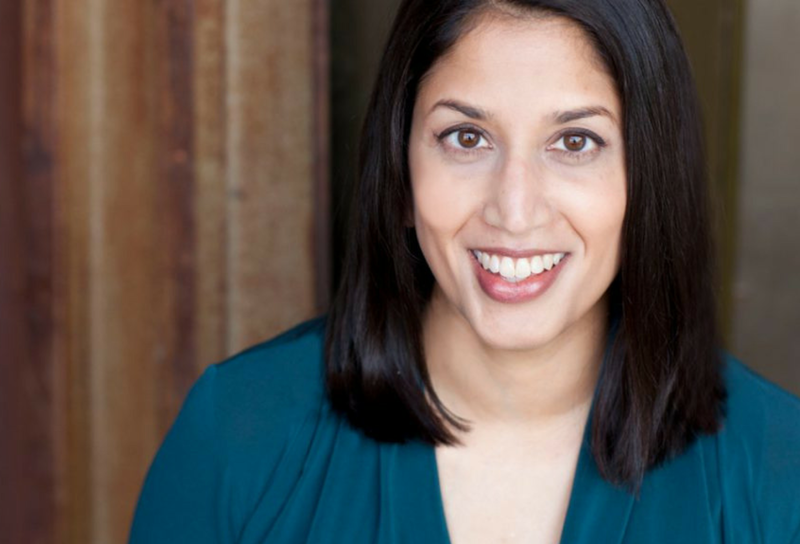 This week, I speak with Kishshana Palmer, a brilliant trainer, speaker, and thought leader when it comes to management and leadership in the nonprofit sector. I have spent 2 decades working in the nonprofit and social impact sectors, and I’m in love with these people. You work hard, you are smart, dedicated, and incredibly resourceful. And it drives me up the wall that the people in this sector are so often underpaid, and instead of being treated like the resourceful humans they are, they often are treated like machines who are expected to churn out social impact non-stop. Kishshana and I delved into this dynamic at length, and talked about what gets in the way of us celebrating and cultivating the excellence that is right here in this sector. Kishshana is a captivating speaker. She is funny, wise, and bold in her declarations of where she thinks this sector needs to be heading. Connect with Kishshana here, as well as on Twitter, or LinkedIn. For instance, towards the end of my conversation with Kishshana, we talked about how in the nonprofit space, we often see our colleagues as not just colleagues, but like a family or community. The week after this episode comes out, I’ll send an email with ideas on what you can do to maximize the upsides — while avoiding some of the considerable downsides — of community vibes in the workplace. [12:35]: “Thinking about talent, and thinking about our number one asset in this sector — which is our people — is something we cannot continue to miss the boat on. Or be excited that we wear people out. I don’t want to continue to have to cite stats about how quickly fundraisers roll out of their roles. Me included. I don’t want to be excited about the fact that we’ve burnt yet another person out. Maybe excitement is not the right word. Maybe it’s more like, “oh, they couldn’t cut it.” Or “well you know, this work is hard.” Or taking pride in being like, “oh we’re bone weary.” I don’t want that. I don’t want any of that. This week, a conversation with Rebecca Aced-Molina, an amazing coach and facilitator who is a faculty member with Leadership That Works, a school for coaches who want to be effective in social impact spaces. This week, I speak with Sarai Johnson, a speaker, coach, author, and founder of Lean Nonprofit. When I first encountered Sarai, it was through a blog post she’d written about how nonprofits and foundations often unwittingly use management and funding practices that perpetuate the very culture of poverty and oppression they are fighting against. This week, I speak with Daisy Ozim, founder of Resilient Wellness, a nonprofit that builds community-based solutions to address intergenerational trauma. How a concern for the emotional well-being of kids caught up in the criminal justice system led an Assistant District Attorney to seek out alternatives to prosecution and incarceration. New episodes every other Tuesday! A conversation about how nurses can be transforming health care by adopting a coaching, anti-racist, and social justice mindset. New episodes every other Tuesday! Subscribe in iTunes, Stitcher, or Google Play, or your favorite podcatcher. A conversation about collaboration across difference, innovation in social movements, and inclusivity in reproductive justice. New episodes every other Tuesday! Subscribe in iTunes, Stitcher, or Google Play, or your favorite podcatcher. A conversation about how to access and build local power to create positive change in your city. New episodes every other Tuesday! Subscribe in iTunes, Stitcher, or Google Play, or your favorite podcatcher. A conversation about finding the courage and compassion to stand up -- even when courage comes at a price. And on his work to encourage that capacity in others as well. New episodes every other Tuesday! Subscribe in iTunes, Stitcher, or Google Play, or your favorite podcatcher. A conversation about taking care of yourself while reaching out to others, and what happens when two connected but disparate worlds (coaching and activism) collide. Subscribe in iTunes, Stitcher, or Google Play, or your favorite podcatcher. A conversation with Brigette Iarrusso about politics, anger, and love. We talk about her family's experiences since the hurricane in Puerto Rico, being a mom, and lessons learned. Subscribe in iTunes, Stitcher, or Google Play, or your favorite podcatcher. The Dialogue Lab Podcast is an antidote to burnout culture, and an interview show dedicated to helping you thrive as you make your impact.